Originating from Essex, Bambi are a new London based indie band. Having been together for only 7 months, they¹ve already supported Tom Odell, Professor Green and Mark Ronson on the main stage at this year¹s Brownstock Festival. They¹ve also played with Family Rain on Walt Disney¹s official premier party for The Lone Ranger, and self-released their first track All Along. The song instantly caught the attention of Top Gear¹s Music Team wanting to include it on the show. They have got a rapidly growing online fanbase with their #Bambinos, No doubt the band have certainly been going upwards with a full throttle, and are planning to keep it that way. Their upcoming and much anticipated new single Reap From The Dying Love is filled with guitar riffs, reverbs, groovy beats and stunning vocals. This young four-piece are very familiar with combining a perfect ratio of structure and melody. Their lead singer, James, knows exactly how to make his vocal melodies sound pleading and emotional without forcing a single note out. The overall production is ethereal, fast paced and executed in a very constructed way. 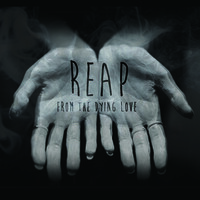 With a hint of The Temper Trap, The Maccabees and Echo and The Bunnymen, Reap From The Dying Love is a definition of a perfect familiar sonic blend topped with reverb and hooky riffs, and will be available for sale and download 17th November. The Aural Delights View : Whlst wearing its influences very strongly this tune managed to catch my attention with it’s subtly altered structure.